PÜR's Best Seller Kit in 'Golden Medium' is a carefully curated makeup set that combines everything you need to achieve a flawless, sunkissed complexion. Combining a primer with a powder foundation, bronzer and mascara, the kit will allow you to experience long-lasting, perfected makeup. Complete with a makeup brush for effortless application. Free from parabens, gluten and BPA. Cruelty free. Vegan. A skin-perfecting primer infused with clinically proven ingredients to smooth and prep skin for flawless, long-lasting foundation. Utilising a Ceretin Complex which contains age-defying Retinol, the hydrating formula expertly reduces the appearance of lines and wrinkles whilst instantly minimising the look of pores and promoting a more uniform, even toned complexion. Neutral in colour, the antioxidant-rich primer is suitable for all skin tones, and feels lightweight on skin. Its brightening and firming properties lend your makeup a radiant, youthful finish, and its cocktail of Salicylic Acid, Shea Butter and Aloe Vera work in synergy to decongest pores, moisturise and soothe the complexion. Makeup looks flawless and silky smooth with extended wear. A lightweight, pressed powder foundation with award-winning formula that utilises innovative skincare ingredients. Delivering minimal coverage for a natural, flawless complexion, the all-in-one foundation works as a foundation, concealer, powder and SPF simultaneously to improve the appearance of skin; it's clinically proven to camouflage and prevent imperfections. Encapsulated Mineral Water intensely hydrates, whilst botanical extracts promote a brighter, more even toned complexion. Skin looks flawless and is protected against harmful UV rays. Mess-free application. Suitable for contact lens wearers. A micronized mineral bronzer that adds all-over warmth to the complexion. Perfect for sweeping over the whole face, or for contouring to sculpt and define, the powder delivers rich, golden undertones to create a sunkissed finish. Infused with moisturising Shea Butter and a Ceretin Complex that utilises Retinol, it helps to improve elasticity whilst reducing the appearance of lines and wrinkles. Skin looks beautifully radiant, smooth and healthy. Suitable for contact lens wearers. 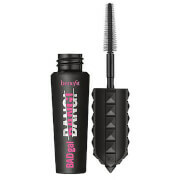 A volumising mascara with clump-resistant application wand. Coating lashes in a rich, nourishing formula, the buildable mascara lifts and lengthens even the smallest of eyelashes to create a maximised, dramatised eye makeup look. Infused with Argan Oil, Coconut Oil and antioxidant Vitamin E, the black mascara adds a dewy sheen to lashes whilst intensifying, nourishing and preserving moisture. Lashes are protected and expertly volumised. A professional makeup brush that has been specially designed to flawlessly apply the 4-in-1 Pressed Mineral Powder Foundation. Working well with all powder products, the brush offers soft, synthetic bristles that pick up and deliver the perfect amount of product for flawless, well-blended results. Primer: Smooth onto clean, moisturised skin. Allow to dry, then follow with 4-in-1 Pressed Mineral Foundation. Foundation: Using the Chisel Brush, apply in circular motions to achieve an even and flawless finish. Layer as needed for desired coverage. Powder: Use the chisel brush to sweep Mineral Glow pressed mineral powder over your face, neck or body for a touch of sun. Mineral Glow can be used alone or over the 4-in-1 Pressed Mineral Makeup Foundation. 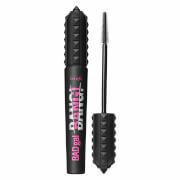 Mascara: Comb wand through both upper and lower lashes with slow, delicate, repeated strokes. Primer: Cyclopentasiloxane, Dimethicone Crosspolymer, Isododecane, Isononyl Isononanoate, Dimethicone, Polymethyl Methacrylate, Silica, Sodium Starch Octenylsuccinate, L-Lactic Acid, Butyrospermum Parkii (Shea Butter), Hydrated Silica, Thioctic Acid, Retinol, L-Ascorbic Acid, L-Glutathione, Palmitoyl Tripeptide-5, Magnolia Officinalis Bark Extract, Vitis Vinifera/Vitis Vinifera (Grape) Seed Extract, Tocopherol, Lecithin, Maltodextrin, Aqua, Vitis Vinifera (Grape) Fruit Skin, Aloe Barbadensis Leaf Extract, Glycerin, Ceramide 6 II, Sodium Hyaluronate, Magnesium Myristate, Titanium Dioxide (CI 77891), Phenyl Trimethicone, Mica, Methylisothiazolinone, Phenethyl Alcohol, PPG-2 Methyl Ether Mineral Glow Powder: Mica, Caprylic/Capric Triglyceride, Bismuth Oxychloride (CI 77163), Zinc Stearate, Sodium Starch Octenylsuccinate, Lactic Acid (L), Butyrospermum Parkii (Shea) Butter, Retinol, Ceramide AP, Aqua, Glycerin, Lauryl Methacrylate/Glycol Dimethacrylate Crosspolymer, Dicaprylyl Ether, Pisum Sativum (Pea) Extract, Algae Extract, Xanthan Gum, Polyglyceryl-2 Cocoate, Benzoic Acid, Silica, Titanium Dioxide (CI 77891), Iron Oxides (CI 77491, CI 77492, CI 77499). Foundation: Active Ingredient: Titanium Dioxide 8%; Inactive Ingredients: Mica, Boron Nitride, Caprylic/Capric Triglyceride, Bismuth Oxychloride, Zinc Stearate, Magnesium Silicate, Magnesium Carbonate, Silica, Shea Butter (Butyrospermum Parkii), Tocopheryl Acetate, Iron Oxides. 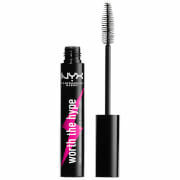 May contain: Ultramarines Big Look Mascara: Aqua, Glyceryl Stearate, Propylene Glycol, C18-36 Acid Triglyceride, PVP, Cetyl Palmitate, Euphorbia Cerifera (Candelilla) Wax, Nylon-12, Stearic Acid, VP/Eicosene Copolymer, Steareth-20, Copernica Cerifera (Carnauba) Wax, Aminomethyl Propanediol, Caprylyl Glycol, Argania Spinosa Kernel (Argan) Oil, Phenoxyethanol, Steareth-2, Xanthan Gum, Chlorphenesin. May Contain: Iron Oxides (CI 77499). Bronzer: Mica, Caprylic/Capric Triglyceride, Bismuth Oxychloride (CI 77163), Zinc Stearate, Sodium Starch Octenylsuccinate, Lactic Acid (L), Butyrospermum Parkii (Shea) Butter, Retinol, Ceramide AP, Aqua, Glycerin, Lauryl Methacrylate/Glycol Dimethacrylate Crosspolymer, Dicaprylyl Ether, Pisum Sativum (Pea) Extract, Algae Extract, Xanthan Gum, Polyglyceryl-2 Cocoate, Benzoic Acid, Silica, Titanium Dioxide (CI 77891), Iron Oxides (CI 77491, CI 77492, CI 77499). Mascara: Aqua, Copernica Cerifera, (Carnauba) Wax, Stearic Acid, Polyisobutene, Glyceryl Stearate, Polyvinyl Acetate, Silica, Aminomethyl Propanediol, VP/Eicosene Copolymer, Isostearic Acid, Phenoxyethanol, Hydroxyethylcellulose, Acrylates Copolymer, Caprylyl Glycol, Methylparaben, Butylene Glycol, Hexylene Glycol, PEG-8 Dimethicone, Simethicone, BHT, Methicone, Pantethine, Panthenol, Lauroyl Lysine, Sodium Hyaluronate. May Contain: Iron Oxides CI 77491/CI 77492/CI 77499.